GREENACRES — The Florida Supreme Court said Thursday it will rule on an already settled Palm Beach County foreclosure case because the opinion could impact the "mortgage foreclosure crisis throughout this state." "This is wonderful and great news for homeowners in Florida," said Royal Palm Beach-based attorney Tom Ice, who represented homeowner Roman Pino against the Bank of New York Mellon. "It's all about whether a party's right to dismiss trumps the court's right to protect its own integrity." Ice said he couldn't comment on the settlement his client reached with the bank or whether it could be affected by the Supreme Court's decision. A bank representative in New York said he didn't have enough information about the case or the Supreme Court action on Thursday to immediately comment. "We wanted to bring the court's attention to the fact that the documents were fraudulent," said Ice, who asked for the dismissal to be reversed. It wasn't, and Ice appealed to the 4th District Court of Appeal. Although the appeals court sided with the lower court and ruled in favor of the bank, it asked the Florida Supreme Court to consider the case. "We conclude that this is a question of great public importance as many, many mortgages foreclosures appear tainted with suspect documents," the appeals court wrote. 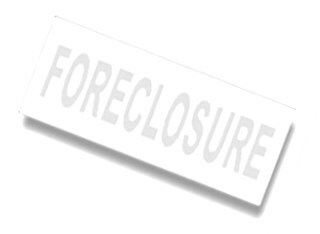 In a yearlong period beginning July 1, 2010, more than 104,000 foreclosure cases were dismissed from Florida's courts, according to the Office of the State Courts Administrator. Foreclosure defense attorneys believe many of the dismissals were made because banks didn't have the proper paperwork to proceed. "Any time banks get in trouble, they can easily make cases go away with a large settlement," Ice said. There are still an estimated 371,000 foreclosure cases backlogged in Florida courts. In dissent, Florida Supreme Court Chief Justice Charles Canady wrote that the court shouldn't force the continuance of a case that both parties have settled. "The court is requiring that the parties litigate a case that has been settled, is no longer in controversy," Canady wrote. "They should not be dragooned into litigating a matter that is no longer in controversy between them simply because this court determines that an issue needs to be decided."